When user tries to launch an application via HTML5 client, an error "Failed to connect to server. 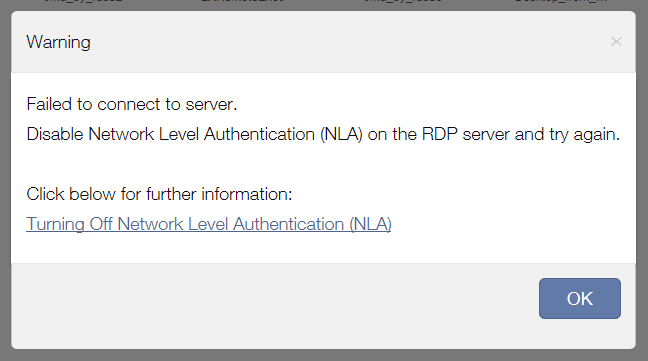 Disable Network Level Authentication (NLA) on the RDP server and try again" is displayed. The first possible reason is outdated version of Parallels RAS. NLA support for HTML5 Client was implemented in version 16.0. 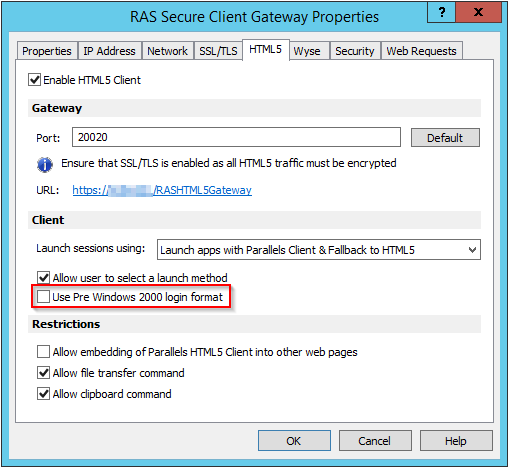 The most recent version of RAS can be downloaded here. Another reason is unsupported combination of settings. Alternative UPN suffixes are not supported if "Pre Windows 2000 login format" option is enabled. If user authenticated with one of them, the error will be displayed.